If you’re looking for a small sized deep fryer, check out the T-Fal FR8000. 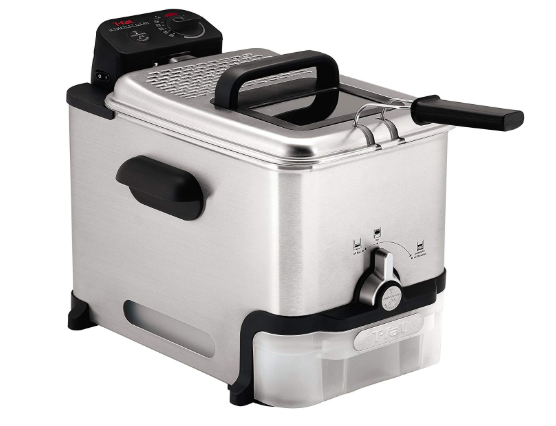 T-Fal offers deep fryers in single or triple baskets and the single can hold 2.6 lbs of food and has a 3.5 liter oil capacity. It also features an adjustable thermostat and an immersed heating system for quick cooking. Plus? It’s easy to clean!